2- Workshops for formulating technological solutions. I propose to all entrepreneurs a new design for tower desktop; called “Top-Tower form”, (T.T.). The end product shall have all the performance of a versatile, upgradeable, powerful and affordable desktop together with many features of a compact laptop. It is very efficient, practical, economical and attractive. It shall solve many issues at once and will become the best alternative to conventional desktop and laptop in business and personal uses. Since all desktops are now using slim monitors (LCD or Plasma) then there is a chance to have a design whereby the monitor could be integrated and forms a removable part of tower case. Not like Apple’s iMac computer models released from 2004, and other All-in-One designs, where all PC components are integrated behind an LCD screen. The new design shall do the opposite; by mounting a changeable slim monitor to one side of full-,mid- or mini-tower with a top handle. The monitor shall act as a slightly tilting side cover to the case, or the case shall have a trapezoidal x-section. All the components of the front panel may be moved below the monitor which will transform the side panel to become the new front panel. You can make the conventional PSU slimmer and/or just fix it vertically to reduce case depth. You can initiate a standard trend whereby new tower cases shall have the monitor as a customizable integral part. A separate fold-able or detachable keyboard with an additional touch pad may be added as optional, or just keep a conventional mouse. Also, you can add a single-leaf or two-leaf sliding or hinged cover to the monitor; plus a single Y-shaped power cord. An alternative to this design is to make the monitor fixed on adjustable mounts on the left- side of ordinary case. Both designs can be applied with the second as modification for the present models of tower cases. Hard disks; expansion cards; and optical drives shall be mounted and ejected just from outside of the new front panel below the monitor without opening the case, with the same mechanism used with optical drives in laptops. I expect these designs will be very attractive and useful for the majority of computer owners who cannot afford to buy a laptop or prefer using a desktop. 7- less expensive in transport and upgrading. 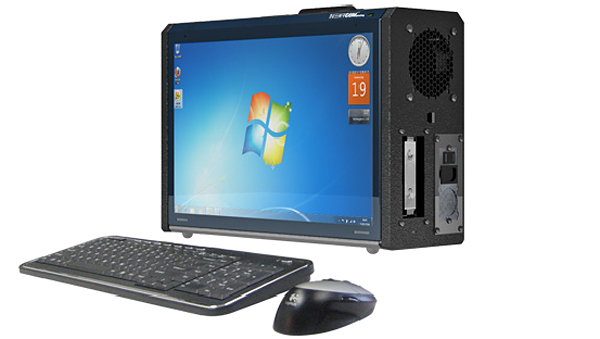 It can go together with manufacturing conventional Desktop Tower Cases. Major companies realized that the conventional tower desktop needs new design to solve a number of important difficulties. So they came up with the AIO monitor concept but the concept behind the design was based on integrating the case components into the back of the monitor. By doing so, they sacrificed important elements as of upgradability and AIO became only a immobile laptop. It failed. 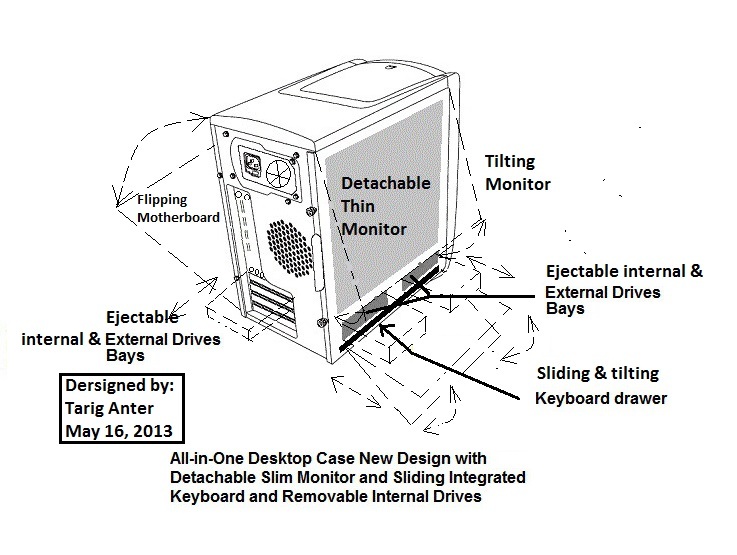 Now computer manufacturers reversed the concept of AIO monitor and integrated the monitor onto the desktop tower case to create AIO case; but did not solve the issues of expansion cards, monitor positioning and the access to the motherboard. This failed also. I did not try to improve the AIO case but my design is independent fresh approach. My design offers a number of important advantages to the monitor, motherboard, hard disks, expansion cards, upgradability, maintenance, keyboard, weight, aesthetics and cost. I am posting to hear form someone interested in manufacturing this deign under patent license. This week, I conflicted with a British person who describes himself as “one of the most respected IT lecturers in Europe” who runs a Facebook group for Computer Enthusiasts. I posted my design on that Facebook group page and the reaction was high with a lot of vulgar language, abuse and nonsense. Normally, a useless topic do not attract any attention or discussion. The “respected IT lecturer” sided with his crap and revoked my membership citing I was hostile and offending. I feel their wicked intentions to rubbish my design and steal it. I challenged him to prove and publish in public my design and those he claims that they are the same and were made before mine. 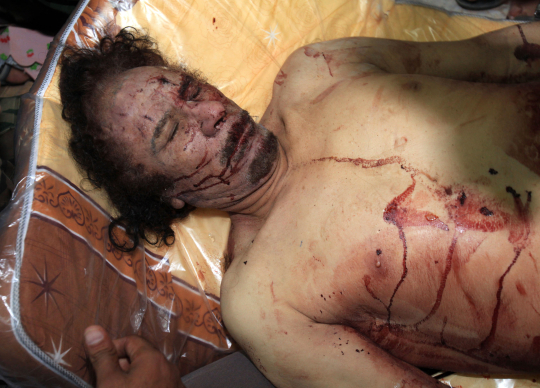 Later the “respected” person send me the following photo and web address. He said it been done over and over, it never sold since 2009. 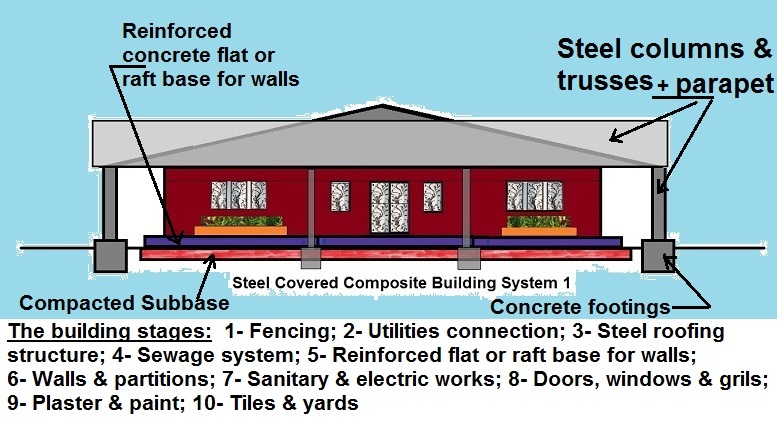 Well as you can see there are many basic differences and my design has a lot of advantages than that one. The “respected” IT lecturer couldn’t see or admit that; and in a rude manner he and his group ridiculed and accused me of copying that design. Then he said I only made developments to te one already existed in 2009. The design I made came from my personal experience and my need to solve practical problems with the conventional desktop. It is genuinely mine and it was not inspired by any other design and it is different from many important aspects. It is amazing to me that a “respected IT lecturer” and his group could not solve the problems of conventional desktop; and then describe my design as stupid minor changes to the design of 2009 which in his own words “it been done over and over, it never sold since 2009”! 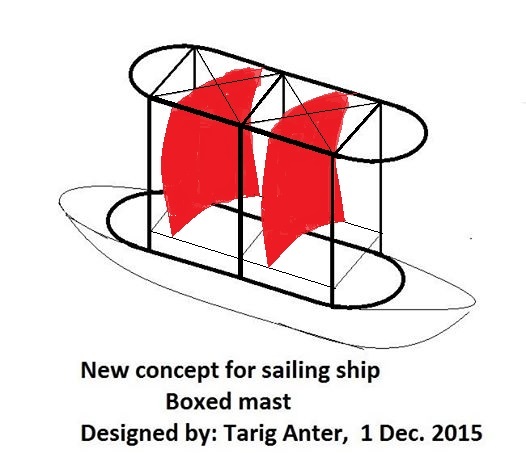 A new design concept for sailing masts. I called it “Boxed Mast”. It is structurally and economically more sound than the conventional mast design; and it is also much better than the tripod design and the one used in The Maltese Falcon. It also provides better energy-saving and safety from sinking and weight and materials reduction. 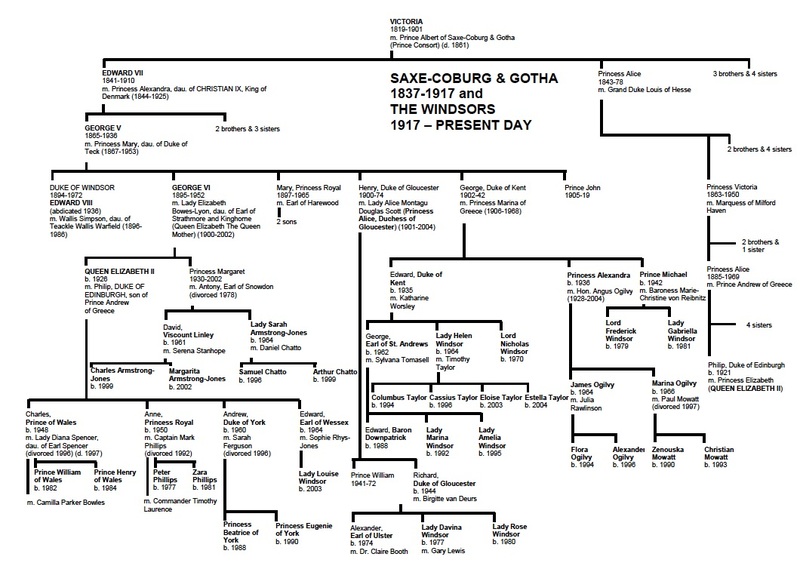 House of Saxe-Coburg and Gotha is a German dynasty, the line of the Saxon House of Wettin that ruled the Ernestine duchies including the duchy of Saxe-Coburg and Gotha. The first duke of Saxe-Coburg and Gotha was Ernest I, who reigned from 1826 until his death in 1844. He had previously been Duke of Saxe-Coburg-Saalfeld (as Ernest III) from 1806 until the duchy was reorganized in 1826. Ernst’s younger brother Leopold became King of the Belgians in 1831, and his descendants continue to serve as Belgian head of state. Léopold’s only daughter, Princess Charlotte of Belgium, was the consort of Maximilian I of Mexico, known as the Empress Carlota of Mexico, in the 1860s. 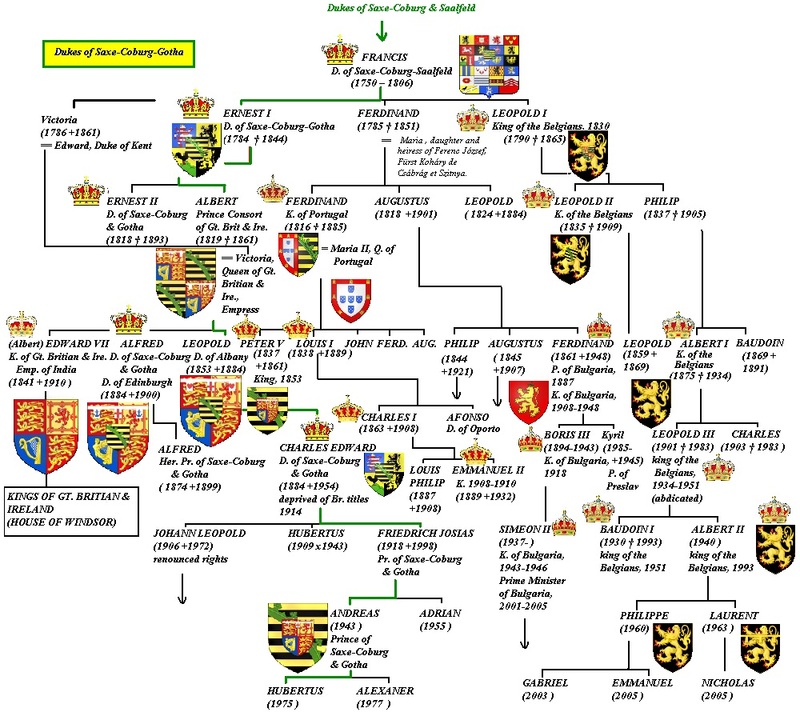 Ernst’s nephew Ferdinand married Queen Maria II of Portugal, and his descendants continued to rule Portugal until that country became a republic in 1910. Ernst I’s second son, Prince Albert (1819–1861), married Queen Victoria in 1840, and thus is the progenitor of the United Kingdom’s current royal family, called Windsor since 1917. In 1826, a cadet branch of the house inherited the Hungarian princely estate of Koháry, and converted to Roman Catholicism. Its members managed to marry an imperial princess of Brazil, an archduchess of Austria, a royal princess of “the French”, a royal princess of Belgium and a royal princess of Saxony. 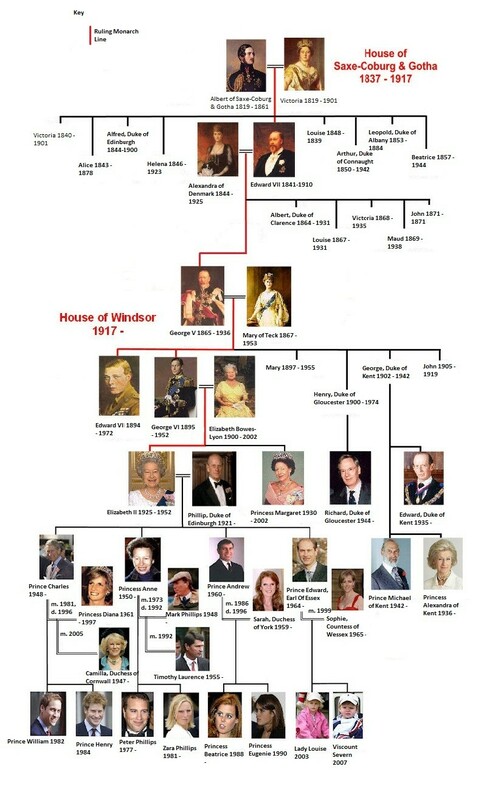 A scion of this branch, also named Ferdinand, became Prince, and then Tsar, of Bulgaria, and his descendants continued to rule there until 1946. The current head of the House of Bulgaria, the former Tsar Simeon II who was deposed and exiled after World War II, goes by the name Simeon Sakskoburggotski and served as Bulgaria’s prime minister from 2001 to 2005. Claiming that the fast huge wealth made by middlemen, such as Mo Ibrahim and Celtel, from the British aid agencies backing is justified because they made mobile phone revolution to few poor countries is false. Such development was inevitable and affordable without foul play by the British development aid agencies and businesses. Government-owned development finance institutions invest for development in poor countries – but they also earn surprisingly good returns, often for middlemen who are paid to invest on governments’ behalf, writes Stephen Gardner. Who benefits most from the activities of government-owned development finance institutions (DFIs), which use taxpayers’ cash for investments in poor countries, with the aim of stimulating economic growth and relieving poverty? The main beneficiaries should be the poor, especially those in the least-developed countries, which commercial banks often perceive as too risky, while offering insignificant returns. DFIs are meant to be less focused on the bottom line; in fact their governmental owners want them to fill the gaps left by private finance. And the impact of DFIs should not be underestimated. European Development Finance Institutions (EDFI) is a Brussels-based representative organisation for the sector, counting 16 members. Jan Rixen, EDFI’s general manager, says that new commitments by members in 2008 totalled €5.2 billion, spread across 941 projects in poor countries. This money represents an additional ten percent on top of the official development assistance budgets of countries represented in EDFI. By the end of 2008, the total EDFI portfolio was worth €16.9 billion, covering more than 4,200 investments. But there is another side to DFIs, which has been exposed in the last few months, in particular by Private Eye magazine. 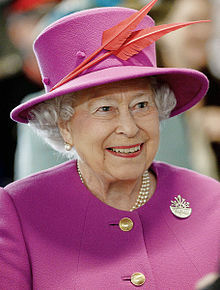 The revelations have suggested that the “major contribution” of DFIs has been to the enrichment of individuals such as Richard Laing. One reason this has happened is that DFIs have been immensely profitable in recent years. This is the difference between government-to-government development aid and DFI investments. The latter is designed to earn a return – but only on the basis that development benefits come first. EDFI’s Jan Rixen admits that some DFIs have inverted this principle. “Some [EDFI] members looked more at returns than development effects,” he says. He adds that a “standard” return on investment for a DFI might be between two and six percent. However, as CDC highlights prominently in its 2008 annual report, its 2004-2008 average annual return was 18 percent, leading to a cash mountain of £2.5 billion. Investment in poor countries can be surprisingly good business. The big profits have also provoked criticism because DFIs make extensive use of tax havens. When the Public Accounts Committee asked CDC’s Laing how many of its 72 subsidiaries were registered in offshore centres, he replied, “it will be a few; it will be 12 to 20.” In fact, CDC later clarified, the true figure is 40. DFIs commonly channel their resources through tax haven-based equity funds, who do the daily work of selecting the right investments and overseeing the DFI stake. Jan Rixen admits that DFI use of tax havens is “very, very common,” but says this is “simply to avoid double taxation,” first on profits from investments in host countries, and second on the gains from those investments. This is a moot point. Nicholas Bray of the Organisation for Economic Cooperation and Development says there might be legitimate reasons for using tax havens but in general “they divert funds from governments that should be due to receive taxes.” But according to Rixen, without tax havens, many investors would pull out, and individual DFI-backed companies in poor countries in any case pay local taxes. A Norwegian government report, published in June this year, considered these issues in depth. The report found that Norway’s DFI, Norfund, was channelling directly or indirectly around 80 percent of its investments through tax havens. The report notes that such places are highly secretive and encourage corruption in developing countries. It adds that whereas foreign investment plus development aid in developing nations totalled around $312 billion in 2006, in the same year there was “illegal capital flight” of at least $641 billion from developing countries, much of it processed through tax havens. The tax haven identified by the Norwegian report as “the most popular location for funds in which Norfund participates,” is the Indian Ocean island of Mauritius. This is also a favourite of CDC; of the 40 CDC subsidiaries based in tax havens, 18 are registered in Mauritius. CDC-backed investment funds located there include Africap, Aureos Capital, Avigo Capital, Business Partners, GroFin and I&P Capital. Mauritius is a tiny dot on the map, with 1.3 million people. Nevertheless, because of its attractiveness to offshore financiers, it is officially the biggest foreign direct investor in India, responsible for a staggering 44 percent of the flows into that country. The United States, by comparison, is the source of a mere seven percent. Certainly the managers of the funds that invest cash on behalf of DFIs can benefit very handsomely. Shorecap, a Caymen Islands registered fund, which manages CDC money, boasted in its 2007 annual report of a 23 percent rate of return – a not uncommon level. Fund managers take a share of this, as well as earning fees of 1.5 to two percent on the money they invest. According to Counter Balance, large international institutions such as the EIB actively aid and abet such practices, despite recent pronouncements from political leaders about cracking down on tax havens. The EIB lends to a number of the same investment funds as CDC and Norfund. EIB officials even sit on the boards of some equity firms, so the bank can hardly claim ignorance of their tax haven status. DFI profit seeking has led organisations such as CDC to move out of traditional but low yield sectors such as agriculture, and into sectors such as pharmaceuticals and telecommunications, with investment often directed to fast-growing emerging economies such as China and India, rather than to the poorest countries. CDC’s 2008 annual report notes that while agriculture now makes up only five percent of its portfolio, consumer-facing businesses make up 17 percent and financial services 19 percent. The report highlights investments in a shopping mall in Accra, Ghana, and an Indian drug manufacturer that supplies global multinationals such as Pfizer. There is nothing wrong with these investments per se, but is it necessary for DFIs to back them, when they are profitable and could attract finance from commercial banks? Jan Rixen says EDFI members are becoming more circumspect. The pursuit of profits “was at a certain time,” he says. Now there is “increasing focus on additionality,” meaning that projects should be supported only if they cannot attract commercial finance. “We need profits but we need to look very much at development effects,” he says. The British government has certainly ordered a change of direction for CDC. From the start of this year it must make 75 percent of new investments in countries with income per capita of $905 or less. Half of investments must be targeted to sub-Saharan Africa. Bangladesh now has 117.6 million mobile phone users, and Afghanistan has 21.6 million – both upwards of 70 percent of the population. Fifteen years ago there were essentially no cell users in either of these countries, yet a handful of entrepreneurs and investors in each decided they could create a telecom market in the heart of the developing world. 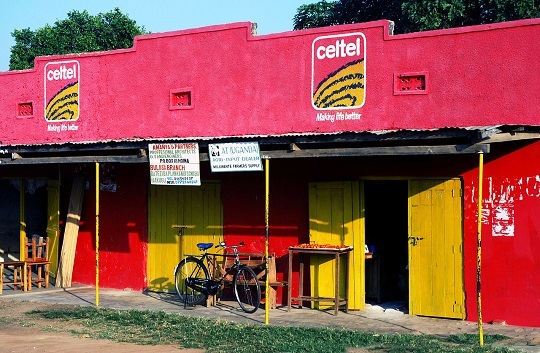 Similarly, Sudanese born engineer and entrepreneur Mo Ibrahim founded African telecom giant Celtel in 1998, at which point Africa was the most underserved telecom market in the world. Today, Africa is the world’s second largest cellular market and is projected to hit one billion cell users in 2015, or about 90 percent of the continent’s population. These examples illustrate that, even in the world’s most underdeveloped regions, there are significant opportunities for successful business and investment, yet financiers often write these ideas off as crazy. In many instances, capital is a coward. Even when opportunities exist, somebody needs to prove there is money to be made in these exotic markets by leading the way. These “somebodies” are often development finance institutions (DFIs), and the successes mentioned above could not have happened without investments and the “good housekeeping seal of approval” from these institutions. DFI is an umbrella term for the alphabet soup of somewhat obscure organizations that include: the International Finance Corporation (IFC), European Bank for Reconstruction and Development, the Overseas Private Investment Corporation (OPIC), CDC Group, PROPARCO, FMO, and DEG that share financial risk, provide loans, take minority equity investments, support emerging market equity funds and provide advice to both companies and government in the developing world. Fifty years ago, the development “industry” relied almost solely on foreign aid– loans and grants– given to governments and NGOs. In 1970, official development assistance (ODA) accounted for more than two thirds of financial flows to the developing world, but today global ODA is approximately $135 billion against roughly $1 trillion in FDI heading to the developing world. In 2012, for the first time, developing economies absorbed more FDI than developed counterparts. Attracting this capital will be necessary for effective development policy in the 21st century. Even in Africa, foreign direct investment now exceeds ODA. Perhaps the most critical role for private enterprise comes in job creation, which is a massive need for developing countries seeking economic progress and stability. Population growth will drive the need for 600 million new jobs by 2020, and in the developing world, 9 out of 10 employment opportunities are created by private enterprise. One way OECD governments are seeking to share risk and encourage private enterprise has been to create and expand the use of DFIs. While DFIs have been part of the global aid infrastructure for decades, their use has exploded in recent years. Total annual commitments from DFIs to the private sector have quadrupled since 2002, from just over $10 billion to about $44 billion in 2012, yet this number still drastically undervalues the role of DFIs on a range of issues including project design, technical assistance, and the ability to leverage additional funds. Every G7 country but Canada now has a DFI, and Canada (along with Australia) are considering creating one. Establishing the Emerging Markets Private Equity Industry: DFIs helped establish private equity markets in the developing world and the Emerging Market Private Equity Association (EMPEA) (set up by IFC) now has over $1 trillion in assets between 300 member institutions. 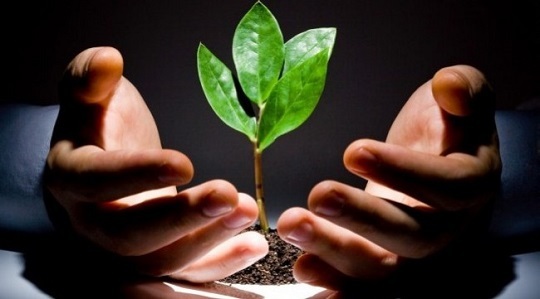 Outside Investors: Africa50 initiative is a planned $10 billion AfDB fund aimed at mobilizing private capital for infrastructure investment in Africa. IFC Asset Management Company mobilizes third party funds, with about $4.5 billion under management. Investments in Conflict and Post-Conflict Zones: The success of mobile telephony in Afghanistan over the last decade is an example of DFIs pushing into places where there is active conflict or where the fighting has only recently stopped. Moving into “Frontier Markets”: This means an increased focus on Africa as well as on the poorest regions of places like Brazil and China. With increased DFI expansion, criticisms have also emerged. One serious question is, why do we need DFIs when private banks like HSBC and Citibank can provide financing in emerging markets? This criticism has grown as several dozen developing countries have become investment grade over the last decade. This critique has been curtailed somewhat, however, by post-financial crisis regulations, including Dodd-Frank and Basel III, which placed greater restrictions on the large banks. Another ongoing tension is whether DFIs should prioritize profits or development outcomes. The DFIs would answer “both” but the pressures on them are great at the investment officer level as well as at the institutional level to “book” increased investment volumes every year. Given this reality, extending a low risk high return project finance loan for a luxury hotel in Brazil will always be tempting. One more valid concern is, when a DFI invests in a struggling or low income country, are we rewarding bad policy decisions by developing country governments? One response to this is to say that in a place like Afghanistan, we can either wait for reforms to happen or we can use a proposed investment in the telecom or mining sector to help force a constructive conversation with local policymakers. Each of these criticisms contains more than a grain of truth, and reflects tensions fundamental to the missions of these organizations–tensions that can be managed but not “solved.” In a world where private enterprise drives jobs and prosperity, DFIs expand the frontiers of what is viewed as a profitable investment opportunity around the world. DFIs at their best can “prime the pump”, supporting revolutionary businesses like Celtel, and opening economies to global trade and investment. DFIs at their worst invest in sectors and countries they should have exited years before in order to reap the profits to justify their continued existence. Based on the other tools available, as well as the changing world confronting policy makers, expect DFIs to be utilized more not less.